Jun - 13 | By: Oregon Film | no comments. The Governor’s Office of Film and Television along with the Oregon Department of Revenue will be holding three call-in information sessions about the Oregon Production Tax Credit Auction which is happening July 8-17. Previous information about the auction can be found here. The auction will be done through a website. 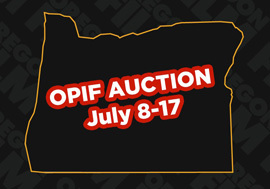 You will want to go to this web address – http://www.oregon.gov/dor/PERTAX/Pages/credit-auction-info.aspx and go to the bid page. The bid page will not be active until July 8. Please note that all bids will not be qualified until bankable funds are received by the Department of Revenue. The deadline for turning in your payment is July24. If you would like to know what the bid pages will look like, below are screen grabs of the bid pages for individuals and businesses. If you plan to hand deliver your bankable funds to a Department of Revenue District Office, a full list of those offices can be found at this website.